Among the sectors, except energy and bank all other sectoral indices are trading in green. 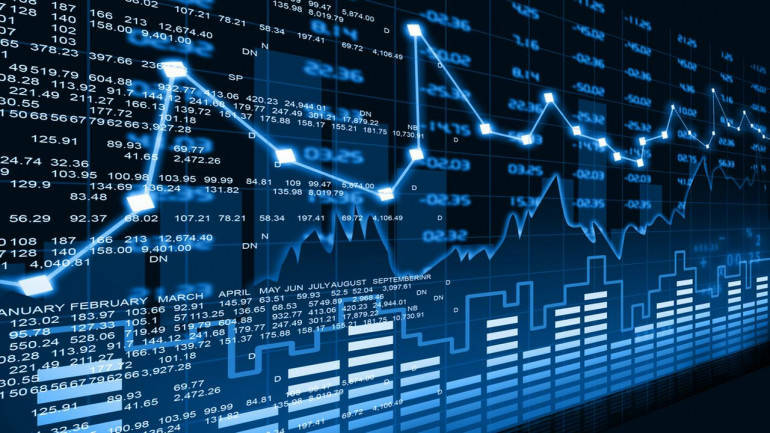 Asian markets trade lower: Shares in Asia were flat in early trade on Friday following a fall on Wall Street, with a deteriorating global economic outlook outweighing more signs of progress in trade talks between China and the United States. Share trading is buying and selling of shares in the stock exchange. 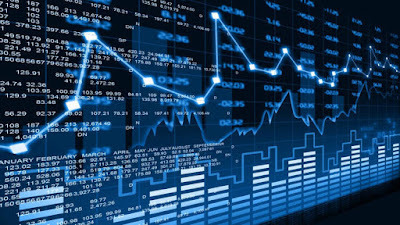 When this trading takes place through computers and the internet it is called online trading. For trading, you need two accounts, demat account, and trading account. Traders/investors who wish to trade on their own prefer this type of trading facility. Discussed here are few online trading tips to secure better returns on your investment. Those who are the newbie in stock trading should start with small amount of capital in the beginning. Human beings make mistakes and so even if you suffer loss during your first few trades your trading spirit will not be broken as you would have not lost much right in the beginning. You will gain experience of how the website works and what are the options that are available. Before entering into the field of trading, one should study the basics of the stock market and features of an online trading website. You should be aware of how stock markets work, its basic terminologies, and types of trades available. If you do not study and observe you may end up buying/selling wrong orders. One should gain some understanding of fundamental and technical analysis of the company to choose the right stocks for investment. For this you can rely on your own research and mathematical calculations or take help from experienced people in the field. If your trades are based only on impulse, the outcome of the trade will be unpredictable. One can trade in many sectors but it is advisable to stick to those sectors of whom you have knowledge about. By selecting a few sectors you can stay updated about all the occurrences in those selected sectors and that will be beneficial. You can search about news, related articles, financial reports of the companies in those sectors through the internet, business newspapers, magazines etc. in which you are interested. Company news helps in planning strategy and trade execution. There are many tools available to help you come to a decision when and what to buy/sell. Few of the tools are charting tools, stock watch list, SMS/email alerts, charts, graphs, high and low, etc. These resources will help you in taking right decisions. These tools give you information whereby you do not trade on impulse or intuition. Being online and registered you can trade from wherever you are from home, from office, while traveling or even in some remote location provided you have an internet connection! While choosing an online broker see to it that his web speed is good and has a good reputation. The available services for an online trading platform can make a difference between financial success/failure. Check for online broker pricing especially if you are a day trader as in the long run it will make a lot of difference in your profits. A good broker will offer resources for education and research. Is stock trading analogous to gambling? For many trading and gambling, are same in theory but are practically different. One is calculative risk-taking and another luck or chance game. But both offer unlimited potential for profit or loss. While trading most people have the will to win. Nevertheless only a few have the will to prepare to win. So, here are some stock trading tips for you. Trading in the stock market is not a game of dice, it involves, apart from other things introspecting the past data that is available and analyzing it. In gambling, it is an ultimate win or loss, but in trading, nothing is ultimate, neither the win nor the loss. Companies are in constant competition with each other to provide better services and bring in new products for better utility. This leads to a rise in their stock prices which earn better profits for the firm. Traders want to invest in right stocks and hence constantly seek the latest informationabout the company. To predict market trends they perform technical and fundamental analysis and calculate things mathematically. They apply reasoning, rationality, and logic to come to the conclusion which stocks to buy and which to sell. Investors on the other hand judge past trades and then plan their strategy. Where to invest, amount to be invested, and for how long should they hold. Gambling is totally different game altogether. All trades are first carefully analyzed before buying and selling. Traders know at what level they will enter the market and exit before initiating any trade. They follow the strategy that they have made and are disciplined in it. Everyone knows that the market is unpredictable and the wise investor goes in a planned manner rather than playing with odds. It is due to his discipline and patience that he made a good profit. Trading is not winning the one-time jackpot but it can be a regular source of income. Before trading one should know that he/she cannot win each and every trade. Whenever one trades he should have a long-term approach. Before investing the trader should gain as much knowledge about the company as possible. Blindly buying stocks without calculations and analysis is like betting at the poker game without looking at your cards. In gambling no outside events affect the outcome, in stocks outside events like a good/bad monsoon, change of political power, change in government rules/regulations, strike etc. affect market movements. In gambling, there is a get-rich-quick perspective which is not suitable in the stock market. Traders look for a plan that provides for a learning experience which in due course leads to success. A trader gains experience even when he loses and using this experience he can gain better profits in the future, nothing like this in gambling. In trading, you can incorporate risk management techniques to reduce loss. Risk cannot be managed in gambling, you win or you lose as simple as that. No need for technical and fundamental analysis in gambling. The bank said Board of Directors accepted the request of Chanda Kochhar (MD and CEO) to seek early retirement from the Bank at the earliest. The bank further said the enquiry instituted by the board will remain unaffected by this and certain benefits will be subject to the outcome of the enquiry. Kochhar will also relinquish office from the board of directors of the bank's subsidiaries. The board decided to appoint Sandeep Bakhshi as Managing Director & Chief Executive Officer. His appointment will be for a period of five years until October 3, 2023, subject to regulatory and other approvals. Separately, due to health reasons MD Mallya, Independent Director, resigned from the board and the same was accepted, ICICI Bank said. Mercator said its total production of coal for the month of September 2018 stands at 183,485 MT, which is record production level from the present mines. With this, the company has already achieved around 50 percent of its annual coal production guidance of approximately 2 million MT for FY19. Additionally, the company has focused its efforts on higher production and Infrastructure throughput volumes going forward, it said. Mercator has also surpassed its total internal monthly target with a record dispatch number of 378,312 MT through its coal handling infrastructure in September, including 3rd party dispatches. One has to work hard to earn money and there is no free lunch. Same is true with intraday trading as well. 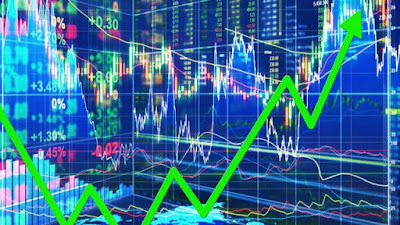 Many traders enter in intraday trading enthusiastically thinking they will earn a lot of money in a very short time period and will become rich overnight. The sad part is that nearly 90 percent of them exit within a few months of trading and losing most or all the money they have invested when they started trading. Most of the people do not understand the rules of the game. In anticipation and haste of reaping huge profit overnight, they keep on committing the same mistake repeatedly. They do not understand that they have to spend adequate time to learn the ropes and succeed in the long term. In life everyone makes mistakes but a newbie trader makes blunders. They believe in tips provided to them from unknowledgeable investment consultants. The tips that are provided are based only on market speculations only. There is no reasoning, calculation, analysis, and rationale of the tips that they provide and many of them do not have the license to provide any consultancy services. So at the end of the day when the stock has to be squared up, the traders have no option except to sell it at a loss. So when things like this happen repeatedly traders lose confidence and start playing safe. This, in turn, reduces the profit margin and thereby is at loss of the whole purpose of intraday trading. Only those persons should go for intraday who have deep pockets. For shallow pockets sustainability is low. One of the important reasons why people fail in intraday trading is that they jump into this field without any preparation. They do not study market behaviour and pattern. Many even do not know the high and low of stock. They do not go through or read the company parameters. Just based on some relatives or friends tip they put in their hard earned money at stake. If the basics and fundamentals are not clear or you do not have a profound knowledge of the subject matter naturally the trades will not earn you any profit. One has to be very cautious about the timing during intraday trading. Both the entry and exit points should not be missed. Before buying any stock one should decide at what price one has to enter and at what price one has to exist for both the high and low of it. As soon as the stock price rise reaches the predetermined price or the prices that you have decided upon one should book profit and exit. One should also use stop loss and adhere to it. In case the price falls to your predetermined stop loss it is better to square off your position and move forward. Those who do not follow these plans religiously, land into trouble. One should have self-control, make a plan and stick to it. Trading with a disciplined approach will help you reap good profit in a long run. Stock Market News Is it time for investors to go short on Nifty? Warning bells ringing! Is it time for investors to go short on Nifty? After a sharp rally seen in August when index rallied over 2 percent, experts feel that we might have made an intermediate top at 11,760 and there is a higher probability that in the near term index moves lower towards 11,300 levels. The Nifty which broke below 11,600 recently is poised to go down further toward 11,300 going by commentary from top technical experts tracking the index.